Despite Destiny’s impressive beginnings when it was released last year, several aspects of the game have proved to be less than perfect. Two of those elements were the storyline and the supply of fresh and interesting gear that isn’t nigh on impossible to acquire. The Taken King DLC is Bungie’s attempt at addressing those issues. And it appears they’ve done quite a good job. The campaign in the original game was frustratingly short and lacked a lot of context or engaging dialogue and cut scenes. Not to mention the almost criminal underuse of one of the voice actors, Nathan Fillion. But Bungie has taken onboard the criticism and turned things around, expanding their already impressive universe and providing a more relevant and interesting antagonist – one who seems personally invested in your downfall. With the initial threat dealt with in the original campaign, and the Hive menace that was Crota all but vanquished in the first DLC, The Dark Below, another bad guy steps up with plans to ruin everyone’s day. Unfortunately, it’s Crota’s father, Oryx. And he’s hell-bent on revenge and the destruction or subjugation of the entire Solar System. Luckily, you’re pretty handy with a weapon and the Vanguard knows it. Though the very beginning of the game starts off with some scurrying around to grab new items and gear, you’re soon into the thick of it, uncovering the beginnings of an ominous threat. On hand is the voice of Nathan Fillion, who provides additional fictional context and superb voice acting, which contrasts with the usually reserved and conservative voiceovers in previous quests and missions. Fillion’s distinct and entertaining dialogue is used to great effect in order to guide you around various locations in an effort to uncover and then deal with the threat. And then it’s down to you to face off with Oryx himself on his colossal floating fortress in orbit around Saturn. But there’s a fairly diverse run of mission before you face the man – or whatever he is – himself. These range from Earth to the Moon to one of Mars’ moon’s Phobos. The atmosphere of the game has also changed. 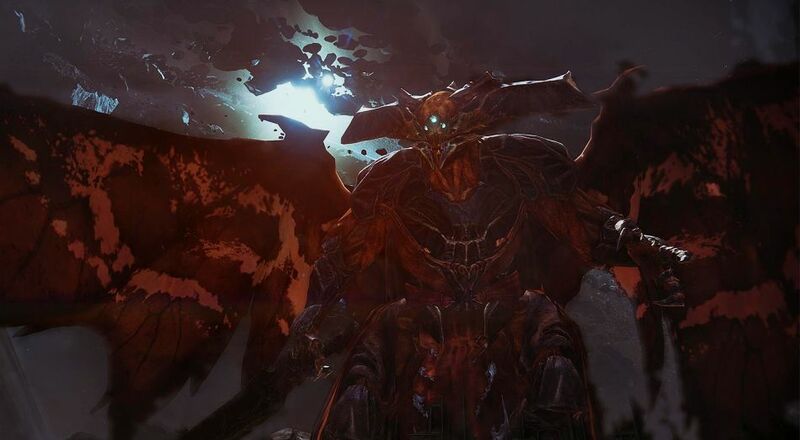 Though the Dark Below DLC was certainly threatening in its presentation, it felt as though the encounter with Crota was worked around facing more powerful foes, especially with Crota himself. But with Oryx and his cronies, and especially with the dreadnought they’re holed up in, the emphasis this time round seems to be focused on creating a sense of dread and foreboding. 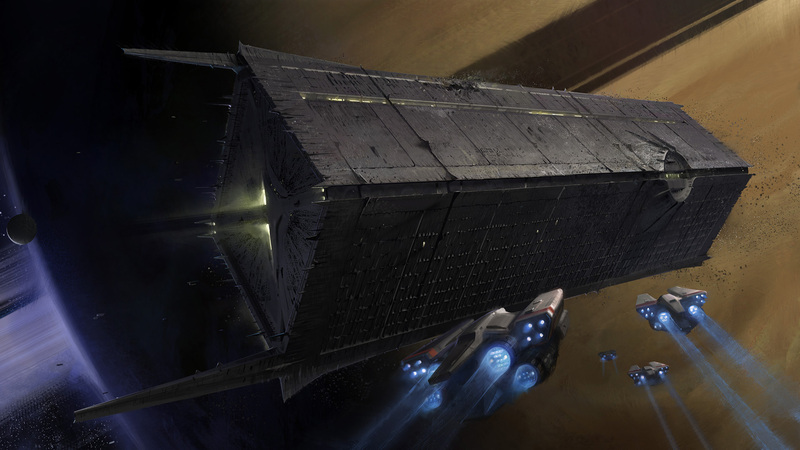 The look and feel of Oryx’s vessel is certainly dark and overbearing. You can’t help but feel alone and vulnerable, and that you could get lost in the vast, bone-filled corridors for years. It truly is enormous! It’s also encouraged that you level up quite a bit before facing Oryx as well and the atmosphere of the game certainly puts that across. You want to be as ready as possible before going toe to toe with him. As far as actual content is concerned, The Taken King oversteps the mark as DLC, venturing into the realms of beinga full-blow game in itself. It’s more a Destiny 2.0 than DLC, but the additions and changes to the original formula are welcome. Weapon and equipment drops are far more lucrative than before, erasing the need – almost – to endlessly grind away in an effort to land some decent gear. New Strike missions, Crucible maps and character subclasses provide a change of scene for regular players, and new quests increase the previously short list of ‘things to do’ in Destiny. Additionally, those new to the fold can quickly upgrade their character with a one-off level boost to get them up to speed as quickly as possible, but that doesn’t mean it’ll be easy. No. There’s still plenty for you to accomplish before hitting level ’40’, including the main quest. In addition to this are patches that were made with the Taken King DLC in mind. Additional skins for armour, additional ghost shells, Ships, Sparrows all make for a far more interesting and rewarding experience. But the biggest change, besides the narrative, has been the levelling in Destiny. The previous and somewhat confusing method has been improved with ‘light’ now being something that can be more accurately measured as you make your way through the new rank levels. It’s now easier to see exactly what armour, weapons and equipment genuinely raises or lowers your ‘light level’. The enemies are also somewhat refreshing and more threatening. Being a subject of Oryx does have its perks, such as multiplying from one enemy into two. Have three or four of these in a room and things can become uncomfortable quite quickly. Cabal Taken can be a handful in tight situations and the Fallen excel with their diverse combat style, especially the Captains, who can dish out orbs of darkness that rapidly drain your health. Even using cover doesn’t completely negate the effects of these attacks. So it forces you to slightly alter your playstyle. The enemies also appear to be more creative this time round. The Taken AI doesn’t resort to simple attacks or darting in and out of cover, allowing you to sit there waiting to pop a few heads with a sniper rifle. This time they swarm, rush, flank, bulldoze and snipe you, utilising all of the traits of each species in one threatening army of the dead, so to speak. It’s a definite improvement to the original, and a welcome one at that. Everything seems better put together this time round – a more cohesive fictional and practical universe. Though there’s still plenty of room for improvement, such as The Speaker displaying a greater awareness of recent events or your resultant actions. Sometimes it just feels as though it’s another day at the office for him and the city. NPC dialogue is definitely one of Destiny’s more overt fictional negatives, but The Taken King certainly shows that there’s plenty of opportunities to improve and for that to work well. Overall it’s a much-needed addition to the original game, one that definitely expands the game’s longevity, but the price does sting for what is coined as DLC.